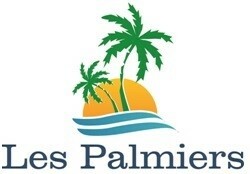 Featuring air conditioning, Les Palmiers Sunorama Beach Apartments offers pet-friendly accommodation in Larnaca. Saint Lazarus Church is 300 metres away. Free WiFi is featured throughout the property. The accommodation is fitted with a flat-screen TV. Some units feature a seating area and/or balcony. There is also a kitchenette, fitted with a microwave, refrigerator and stovetop. There is a private bathroom with a bath in each unit. Finikoudes Beach is 100 metres from Les Palmiers Sunorama Beach Apts, while Dimarchiou Square is 100 metres from the property. The nearest airport is Larnaca Airport, 4 km from the property.